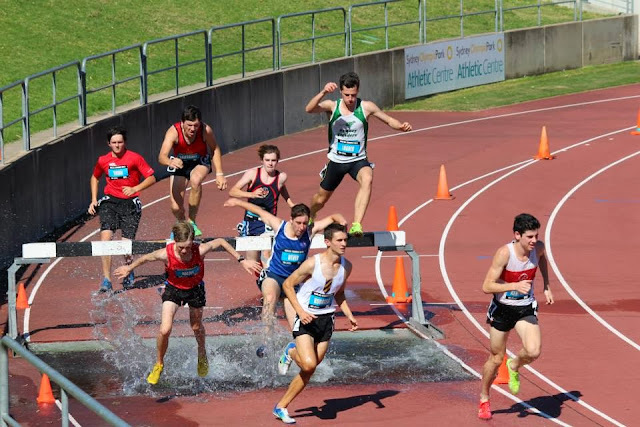 The finish of what was arguably the most exciting race of the whole 4 days, with Lachlan Cooper pulling through the field to win the 14 boys 1500m with a sprint finish. 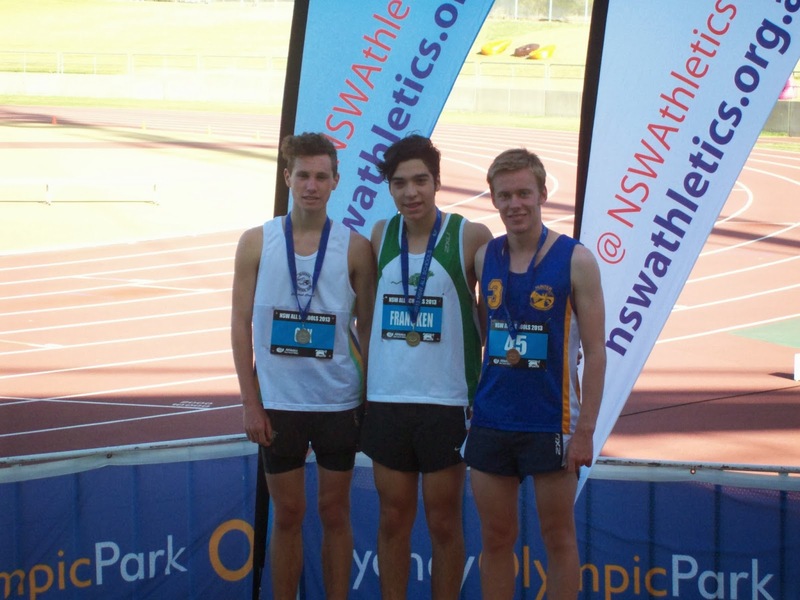 Lachlan Cooper gets his gold medal for the 14 boys 1500m. 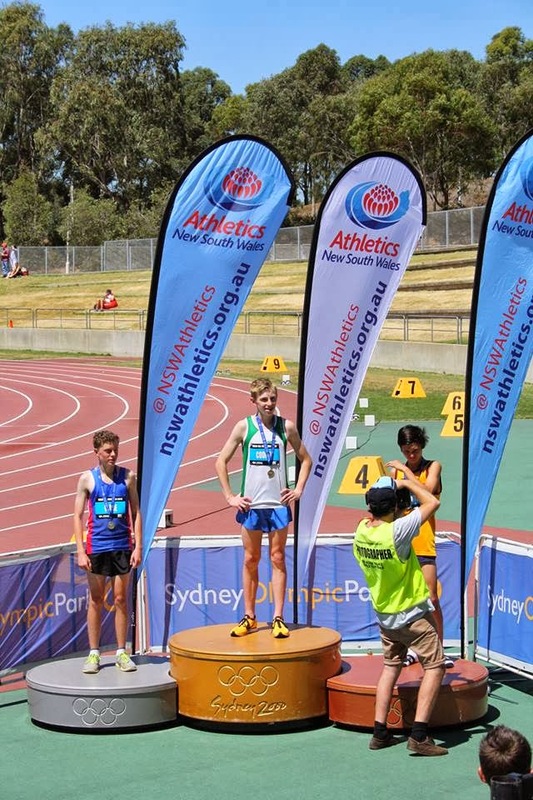 Daniel Francken wins the 16 boys 3K. He also won the 3K 2 years ago. 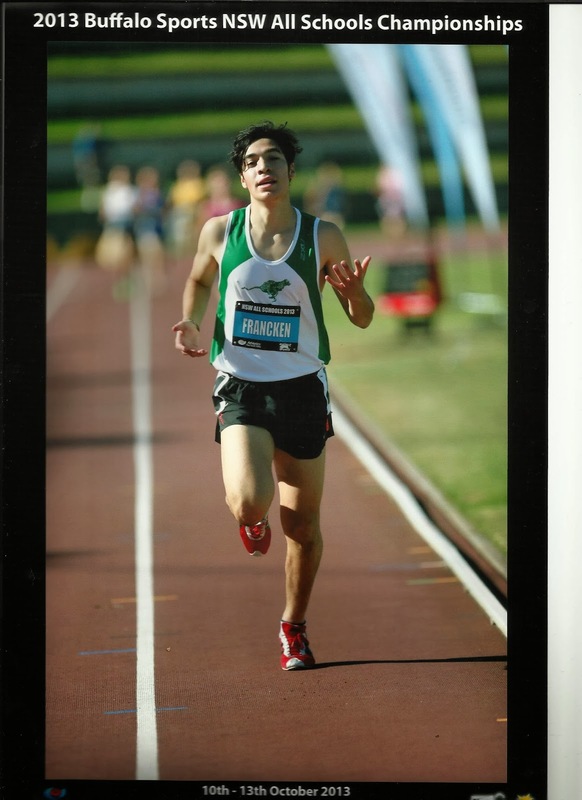 He was 3rd in the 1500m. Daniel Francken gets his gold medal for the 16 boys 3K. 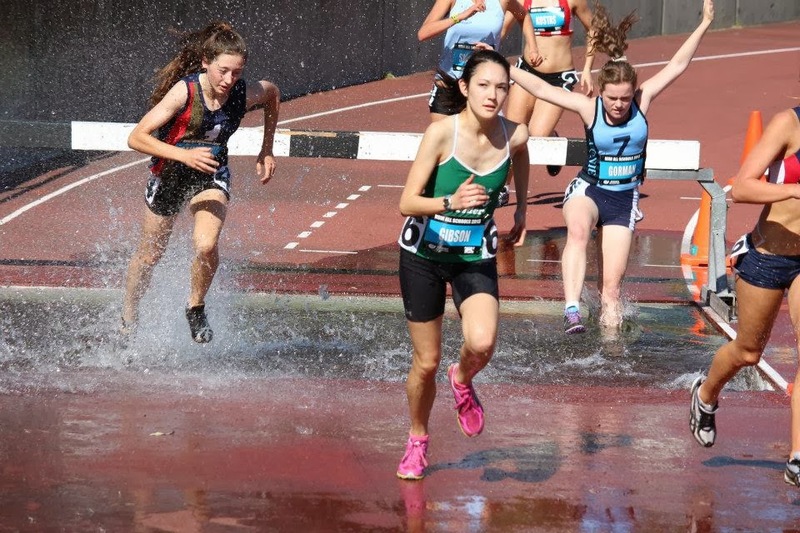 Hannah Gibson came 2nd in the 17 girls 2K steeplechase. Although she is not in her Striders top, we can see Amelia Gorman in her Monty top just behind her. I love this photo. 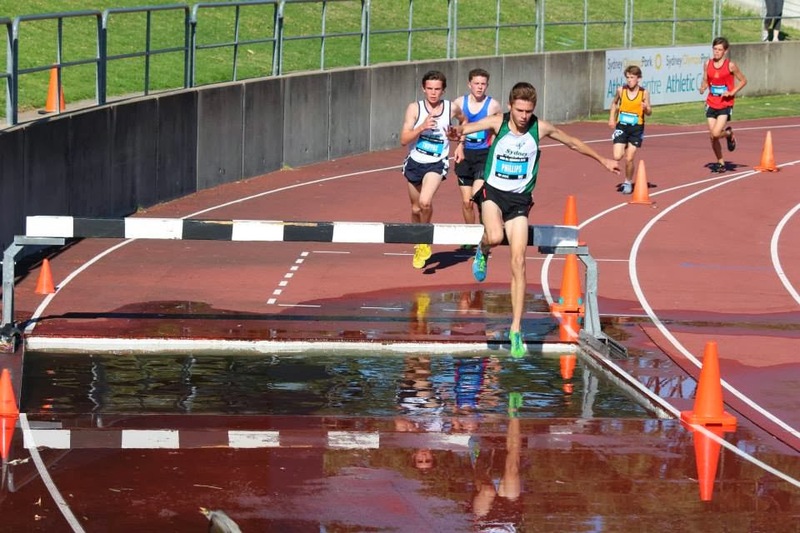 Here we see Ben Jagger have a go at the 2K steeplechase for the first time. 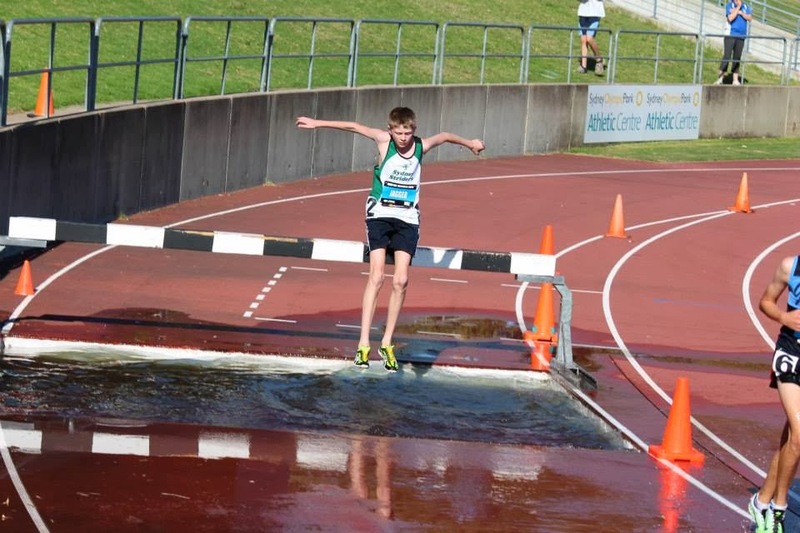 Paul Loader in the 16 boys steeplechase. You can also see Adam Halmy in his school top (the one in the yellow shoes and red top). Josh Phillips won the 2K steeplechase in 6:24. 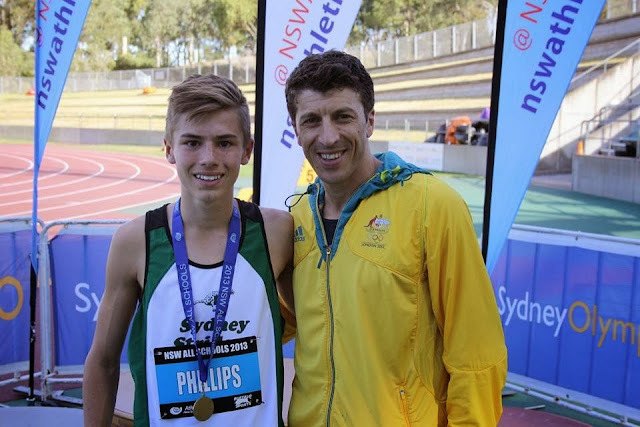 He also won the 14 boys 3K in 9:18. Josh Phillips with Youssef Abdi. 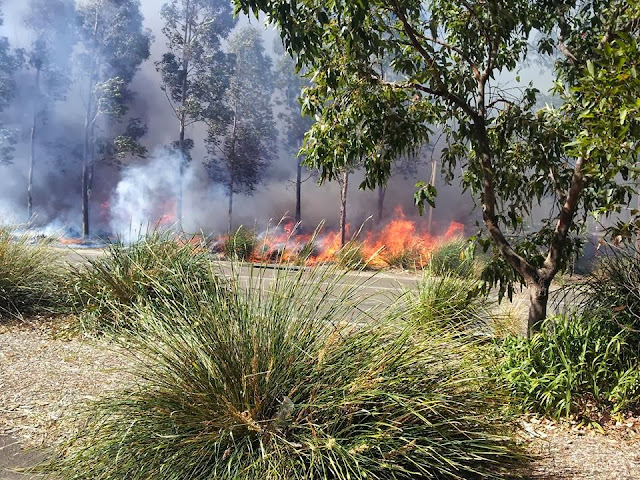 On the Sunday, just before Josh Phillips's 3K race, a fire started in the nearby car park, with cars actually exploding. This delayed the race start. Daniel Francken posted this picture on facebook.